Always a classic choice! This black Plein Air picture frame has a contemporary and eclectic farmhouse style featuring distressed raised edges and random knotholes for just the right amount of character. Add luxury to any fine art or photography with a stately 2 ½” wide profile and crown your latest landscape painting on canvas up to ½”. Handmade from 100% Southern Yellow Pine. Very rough surface and mitre joints with gaps; detracts rather than enhances artwork. May be ok for informal looking photos. This is a cheaply made product. Hello Grant! Thank you for your feedback. Our goal is to provide you with %100 satisfaction. If you are not pleased with the order, you are welcome to return the frame for a full refund. Please give us a call at 1-800-332-8884, and we can provide you with a UPS prepaid return label. We ask that you please provide photos of the quality of the frame. 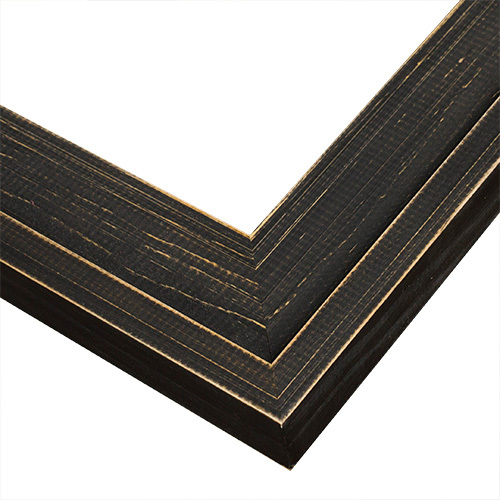 We are happy to help you find an alternate frame choice that will work better with your artwork. Happy Framing! This frame is perfect for a little wool and fabric picture I just completed. 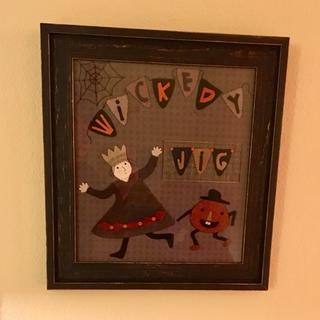 Since it is a Halloween theme, this frame fits the bill. It is distressed just enough to lend a spooky feel to it. I really appreciate the packaging effort because the frame arrived on perfect condition. I love the frame and the mat - both turned out really well. The quality was on par and we are very happy. I wasn't disappointed. The quality is high and the price is fantastic. What made it even better was the ease of putting the canvas in. I've never done that before and they sent everything I needed. I had it done and ready to hang in 15 minutes. Mine was a custom 16 x 24 order. Wanted a rustic lookin frame where the colors work well with the art. It will compliment the color of the print I am using the best.